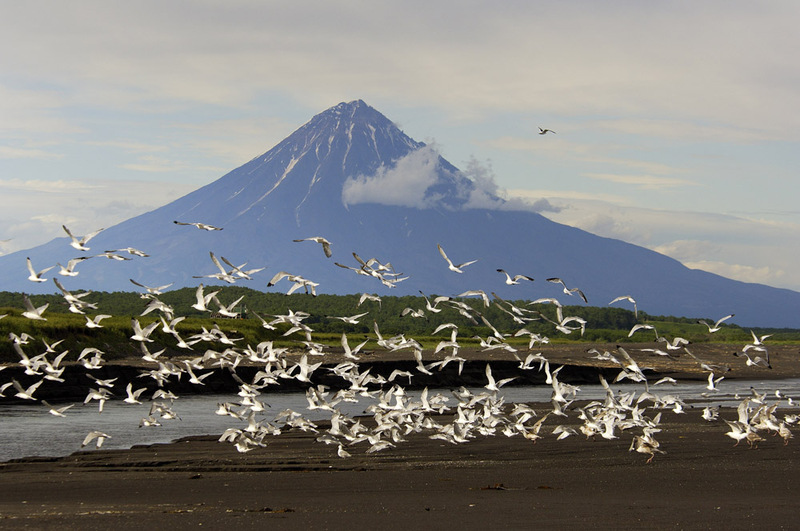 Kronotsky Nature Reserve, located on the remote Kamchatka Peninsula in Russia's Far East, is the target of various kinds of scientific research. 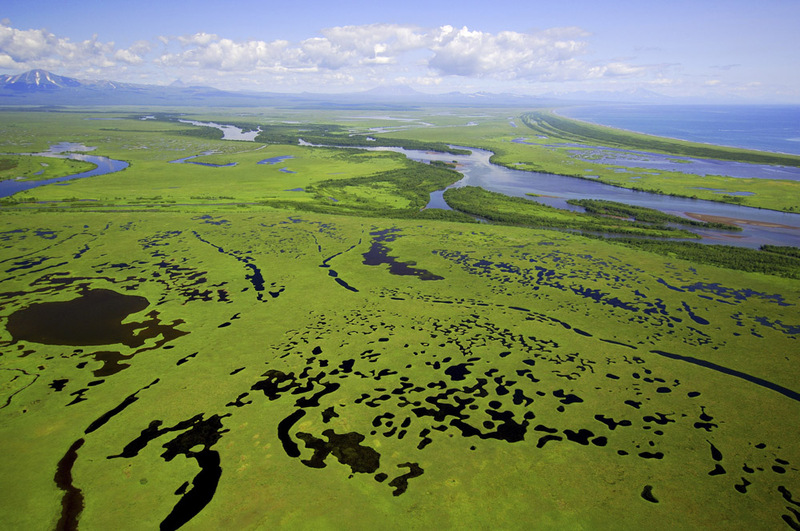 Kronotsky Nature Reserve, located on the remote Kamchatka Peninsula in Russia's Far East, is the target of various kinds of scientific research. 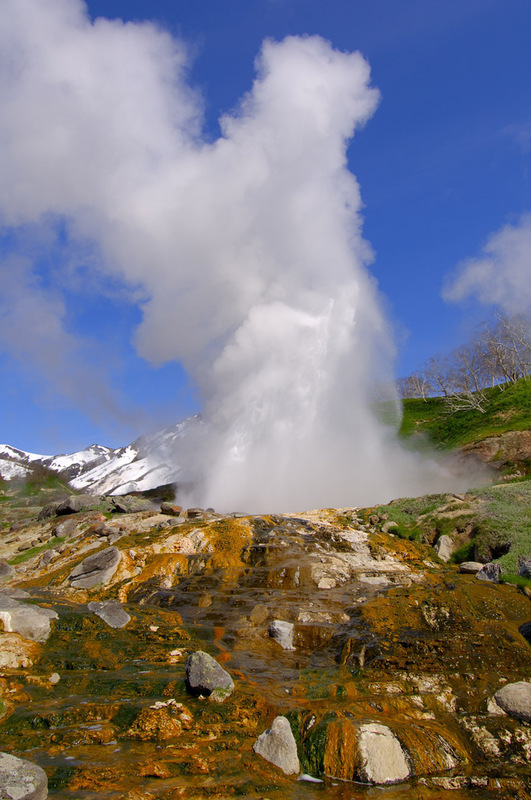 The primary attractions include twelve active volcanoes, thermal lakes, waterfalls and geysers. 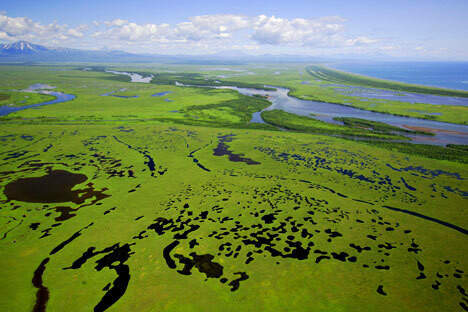 The Peninsula was incorporated into its current borders in 1934 and contains an area of 10,990 km2 (4,240 sq mi). Today it is visited mostly by scientists, along with an annual average of 3000 tourists who pay $700 each for various kinds of trips. 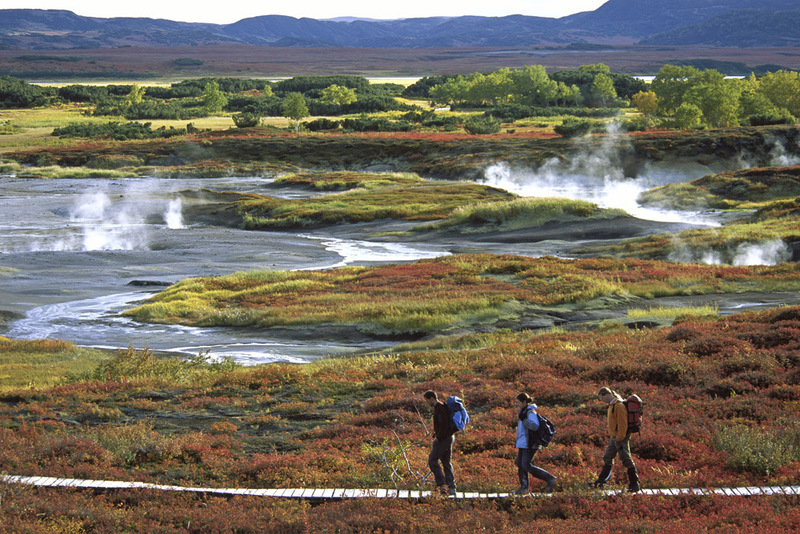 The primary attractions include twelve active volcanoes, thermal lakes, waterfalls and geysers. Pictured is the so-called "Giant Geyser." 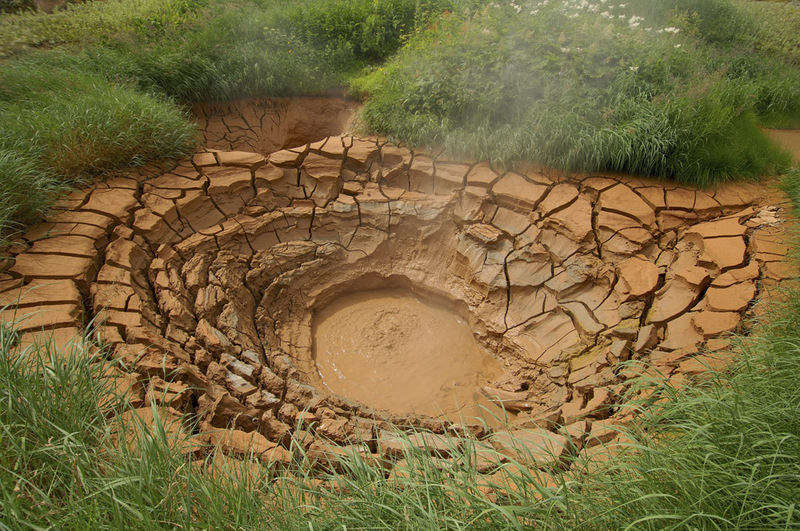 The mud pot is full of red clay. 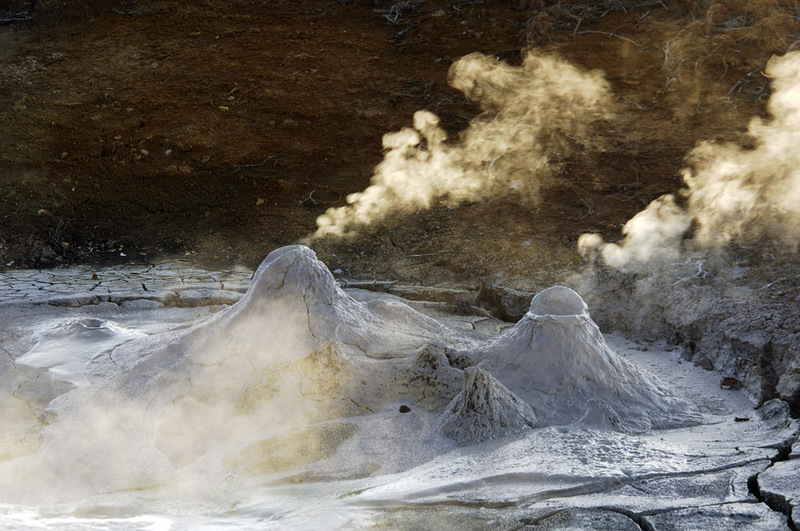 The boiling liquid indicates dynamic activity inside the volcano. 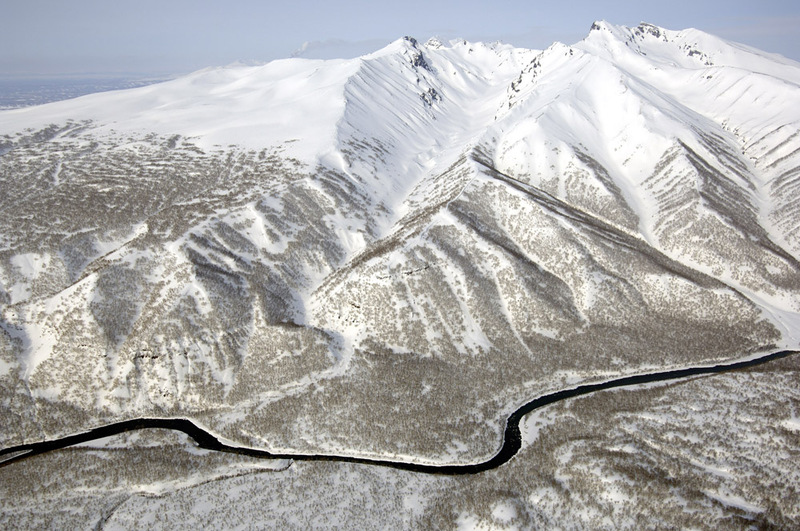 A bird's-eye view of the Zhoupanova river. 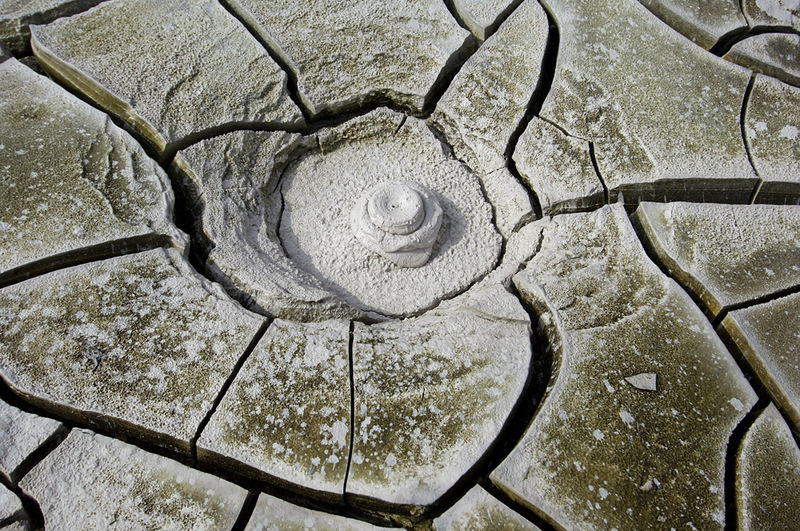 Miniature volcanoes in the Uzon volcano's caldera. 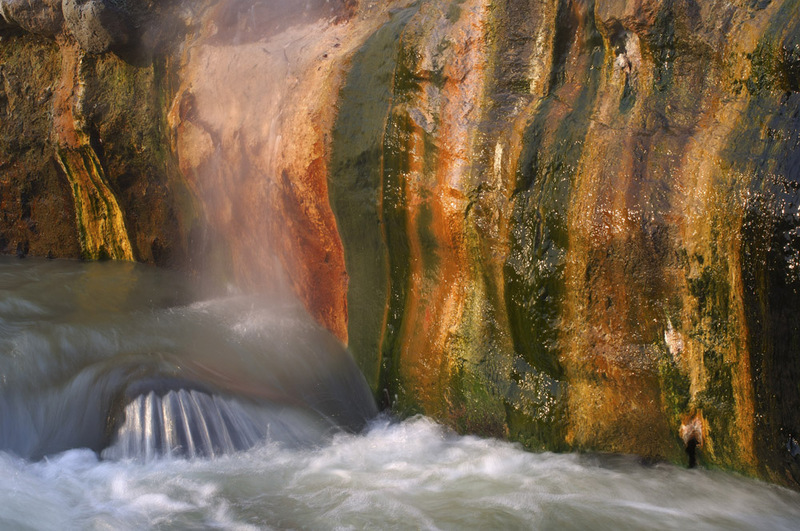 This iridescent waterfall appeared due to the hot springs' water, which creates a propitious environment for varicoloured sargassa. A seagull's flight to the Tikhaya (Calm) River to feed on spawning salmon. 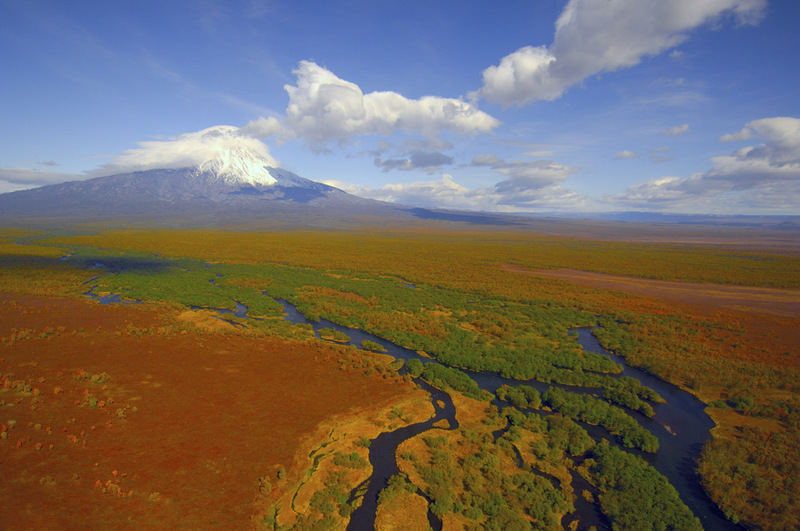 The highest volcano is Klyuchevskaya Sopka (4,750 m), the largest active volcano in the Northern Hemisphere. It has been on UNESCO's World Heritage list since 1996. This is a unique geyser basin in Russia, which includes several mountain ranges containing numerous volcanoes, both active and extinct, including Klyuchevskaya Sopka. 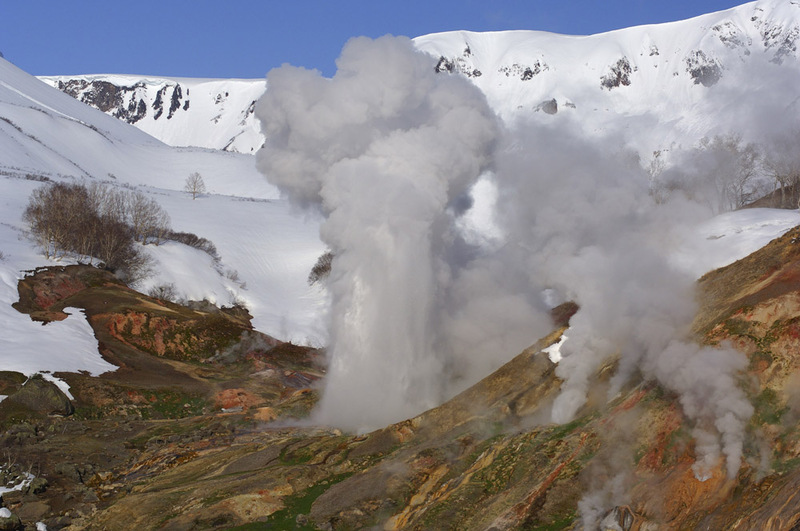 Due to its often harsh climate and its mix of volcanoes and geysers, it is frequently described as the "Land of Fire and Ice."